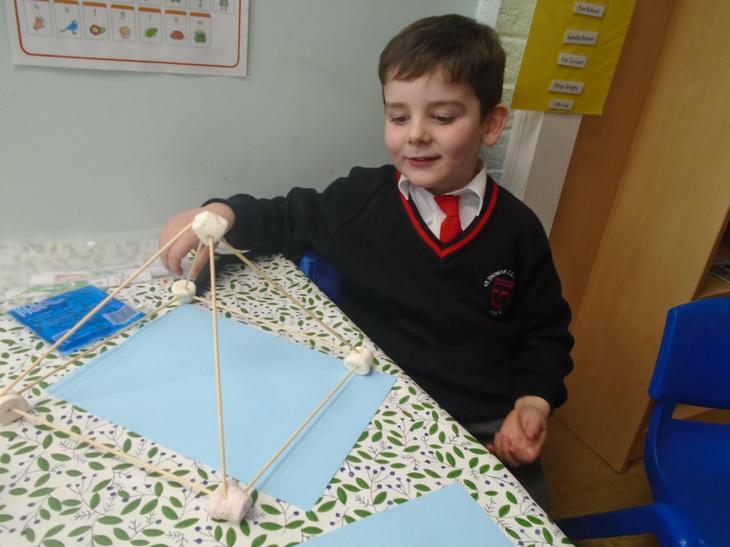 This week we have been learning about 3D shapes. 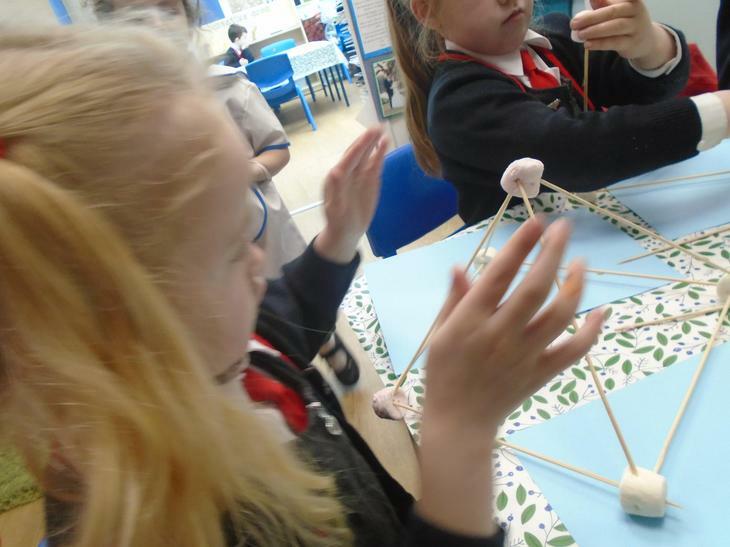 The children have had a fantastic time creating cubes and pyramids using sticks and marshmallows! 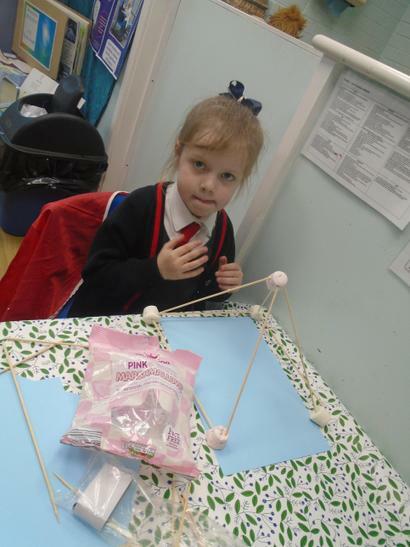 They have since been busy spotting real life 3D shapes around our classroom and the rest of the school. 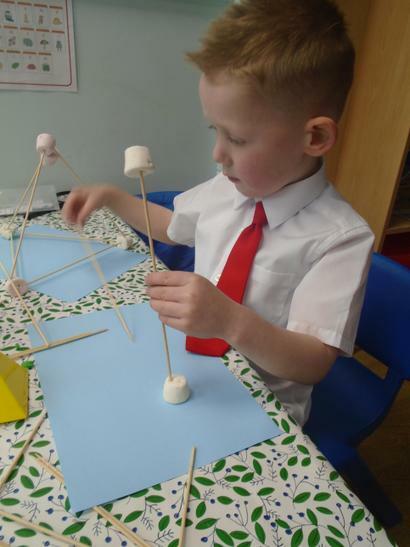 We hope that you have enjoyed your first few weeks at school. It has been a busy few weeks and we have lots of exciting things planned for the rest of the year! Please ensure reading packs are brought into school each day. It is crucial that daily reading occurs at home, to ensure children have an opportunity to understand and recall each book they read. Repetition of reading the same book several times, benefits the children, helping them to apply their reading skills. Reading books will be changed twice a week, every Monday and Thursday. Please ensure that all comments are written into your child's learning journal for staff to read throughout the week. Ensure all items of clothing and PE kits are clearly labelled. Below is a link to view the Early Years Outcomes. Your child will be assessed against the Early Learning Goals for all areas at the end of the year. Numeracy Maths games to play. 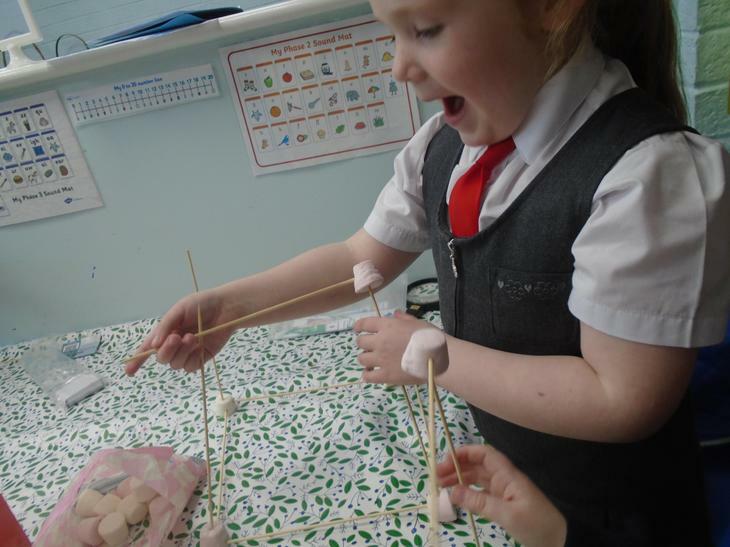 Numbertime and Little Animals Activity Centre are good.